BYOD is part of an evolution of technology use, reflecting the change of how we teach and our values of learning--emphasising collaboration, creativity and sharing our ideas. At Banksmeadow PS, mobile learning started with one device that I bought on the very first day the iPad was released back in 2010. I immediately began to use the personal device in and out of class. Whether I'd be passing it for students' surveys or using it for sports coaching on the field, I found the device verstatile, flexible and durable in many learning environments. Moreover, the device was extremely easy to use, non-obstructive and for my primary students the tactile interaction was highly engaging. After a year, we were able to get our hands on some iPods which we began to deploy, at the same time, we were chosen to trial iPads and received a set of 30 iPads for two classrooms. Rather than trolley or share the devices, we decided to embed the devices in two classrooms to gain maximum use, placing 15 iPads per class. After half a year we found that how we modeled the use of the device, the selection of productivity apps and the development of smooth workflow all contributed to higher engagement and more productivity in our students, making the devices very popular. The school and parents raised money over time to purchase our own, as it knew we would not be able to keep the trial devices. After careful deliberation, we decided to again embed 6 iPads per class rather than share them between classes as the device living on the students' desk could be more fully employed and spontaneously used. After another year of successfully using a one-to-many model and sharing our success with our community, we built credibility with parents in the learning capabilities of these devices and our ability to teach with them. A number of parents began to buy mobile devices for their children. At which point we realised that we could employ the pedagogically superior BYOD model. Well, that is if we carefully planned, timely coordinated and gave detailed preparations. As of this year, 2013, we went BYOD, working with parents and students to ensure it went smoothly and successfully--and that it has! Below is a short guide to help you on this evolution. BYOD stands for “Bring Your Own Device.” BYOD is an initiative that will allow students who have personal technology devices to bring them to school to use them for educational purposes under the direction of a teacher. For the purposes of BYOD, “Device” means a privately owned wireless and/or portable electronic piece of equipment that includes laptops, netbooks, tablets/slates, iPod Touches, and smart phones. There are many reasons to go BYOD. These are the reasons why I use BYOD. Firstly, and most importantly, it takes an able team of problem-solvers to get BYOD off the ground. From the prescient vision of our school leaders to the endless support of our parent community, it took many people to make this happen. It is those people that you need first. BYOD takes time, for us it took about three years. That is, it took three years from the time we started our one-to-many iPad trial in 2011 to our class sets of 6 iPads per primary class in 2012 and finally our BYOD trial in 2013. While it is early days, we couldn't have got to our BYOD without two full years of building capacity, troubleshooting experience and most importantly developing transformative pedgagogy. How long would this take your school? It depends. The Prezi next door will guide you on some very important considerations to BYOD. We chose a standard model of BYOD. 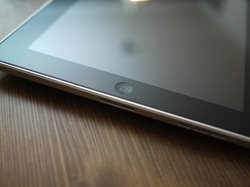 Having used iPads and iPods in our classroom for the last two years, teachers had the experience to teach with these devices and troubleshoot any issues that may arise. Gaining parent and community support is vital to getting BYOD off the ground. Below is a Prezi that we used at Banksmeadow to present to our parent community of our BYOD vision. Timing the presentation to parents was also a vital factor, as we needed to give parents plenty of time to think about joining our BYOD program. While each learning environment is unique, with this comprehensive document (left) Stuart Hasic from the Sydney Region ICT Support team has kindly helped any NSW public school thinking of going down the BYOD path. Make sure to give Stu's document a read before embarking on your BYOD journey. Stu has been another of the "Yes, and..." people who have helped this dream come to fruition. He developed many solutions to our particular public school context. I highly suggest you follow Stu on Yammer and read the gory and sometimes technical details of how he has helped many a kind teaching soul wrestling with mobile devices in our public schools. Many thanks for sharing this valuable resource, Stu! We walk our students through our BYOD user agreement so there are no surprises. While we wrote this late last year, and we had the legal department check ours out, the DEC is working on a BYOD policy for the entire deparment. 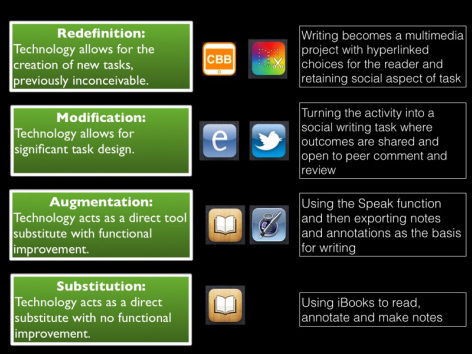 We were inspired by the SAMR model of pedagogy, in which we can modify and redefine what we can do, learn and create with new technology. To do this requires a lot of background knowledge on how to use and teach with the technology. This is on top of the knowledge of the curriculum and pedagogy. 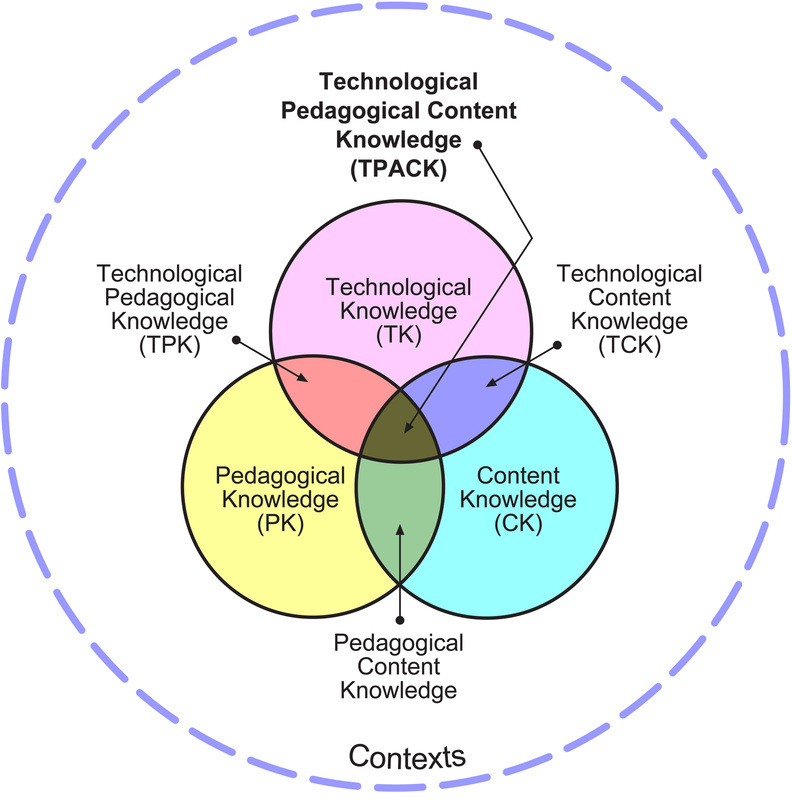 So another model was necessary to marry tech with curriculum and pedagogy, hence TPCK was born. 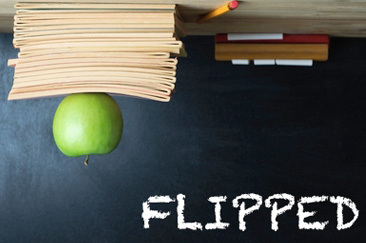 One of the best reasons to carry out the BYOD is to flip the classroom and differentiate the learning. With almost a one-to-one personal-device environment, we now have a method of getting learning content out to students thru writing our own digital media and distributing it thru iBooks or iTunesU. This aids students in learning the content both on their own and also in class, plus giving opportunity to differentiate the learning pace. A short book containing tips and tricks to persuasive writing. Yes, it will require more of your time to use these devices. Who will draw up the plans for implementation, deployment and maintainence? Most imporantly, who will implement, deploy and maintain these devices (no, it definitely isn't ICT support--these devices are technically not supported). Who will budget, raise money and coordinate with parents and the community? Who will purchase the devices? Cover the devices? Sign up for Apple ID for each device? Learn how to use VPP? App Store? Configurator? Dummy email set-up? Wifi set up? and more. Finally, when will you be able to do this? Again it took us many years to evolve to BYOD. With all the choices of what technology model to use, it must be confusing. Here is an easy breakdown on the pros and cons of the differing models. 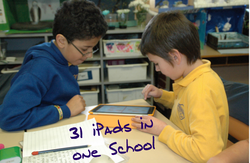 Schools can decide to purchase the technology and give each classroom a 1:1 number of iPads or devices. Small number of iPads or devices per classroom model. Coupled with a 1:Many School Devices model, BYOD addresses equity and can potentially reach 1:1. Aside from the User Agreement and Policy, increased security measures need to be taken in order to keep the device safe and gain the trust of parents and students. 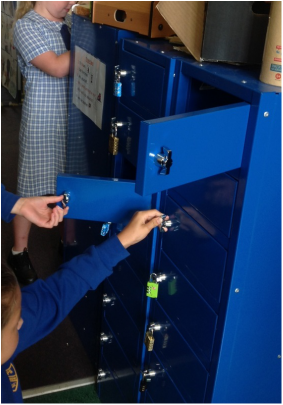 The devices are stored in small laptop lockers, secured by combination locks that we ask the students to bring. The parents actually suggested combination locks as it was better than key locks which would definitely cause lots of problems once students started losing their keys. While the devices are used quite often there will be times and classes where you don't want them on the desks, e.g. sports, circle time and messy art classes. For these reasons we bought a set of lockers, like the above picture. Below is a link to a Google Doc on a search I did for companies that make them. Click BELOW. These are the search results from beginning of 2013. (Information may be dated) We ordered from the company on the top of the document. Click on the button below and add your questions or answers. Recieving 31 iPads from the generous Sydney Region ICT Support of the DEC, my supervisors and I went to work to find out its early potential and limits, embedding it everywhere in our teaching and learning. And what a journey it was. We learnt of the time sink into setting up individual email accounts, iTunes accounts, covering and labelling, to the joys of trialling one after another of countless apps, experimenting on and with the kids, informing the rest of Sydney Region of our adventures and having a great time. Just a few of the teaching and learning moments captured on video.